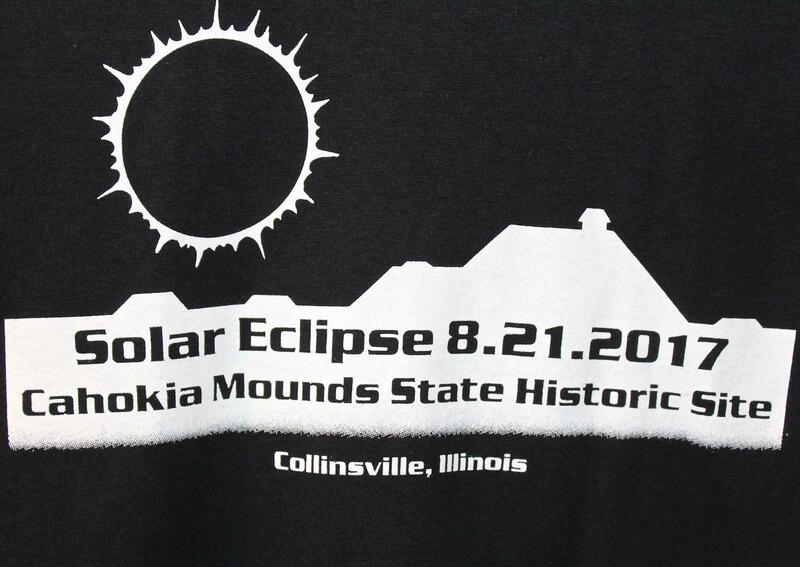 The gift shop at the state historic site is selling commemorative T-shirts but is out of eclipse glasses. Visitors should bring their own eclipse glasses and perhaps a blanket to sit on. “There’s one bench up there, that’s about it. We always recommend that if you’re going to be there in the grass that you have some insect repellent, too, and sunscreen,’’ he said. Iseminger said he has no idea how many people will come, but the site has plenty of room for eclipse-watchers on its 2,200-acres. Among the eclipse-watchers will be tourists — and probably some people who choose the site for spiritual reasons, he said. 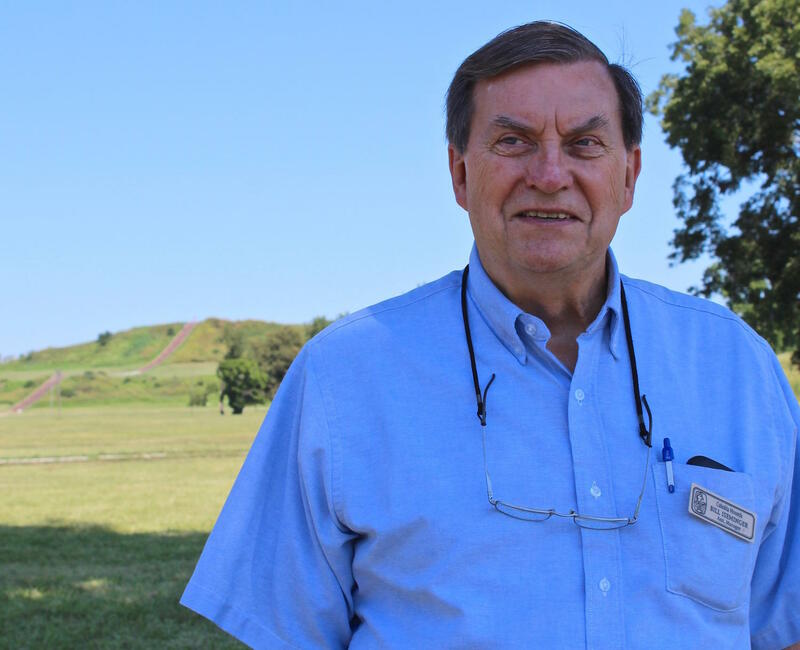 Assistant site manager Bill Iseminger expects several hundred eclipse-watchers atop Monks Mound on Aug. 21. “These are people tuned in to ancient beliefs and religions and feel some kind of connection,’’ he said. But he noted that public ceremonies are discouraged. “We don’t sanction those kinds of activities because we don’t know what would be appropriate for the people who once lived here,’’ he said. A quarter of a million people visit Cahokia Mounds every year, which in 1982 was designated as a World Heritage Site by the United Nations Educational, Scientific and Cultural Organization (UNESCO). The site has preserved 70 mounds built by the Mississippians. Monks Mound is 100 feet tall and covers about 14 acres at the base. It’s the largest earthwork built by ancient peoples in all of North or South America. Conservationists working to make Cahokia Mounds in Collinsville a unit of the National Park Service say they will continue their efforts under the new administration of President Donald Trump. 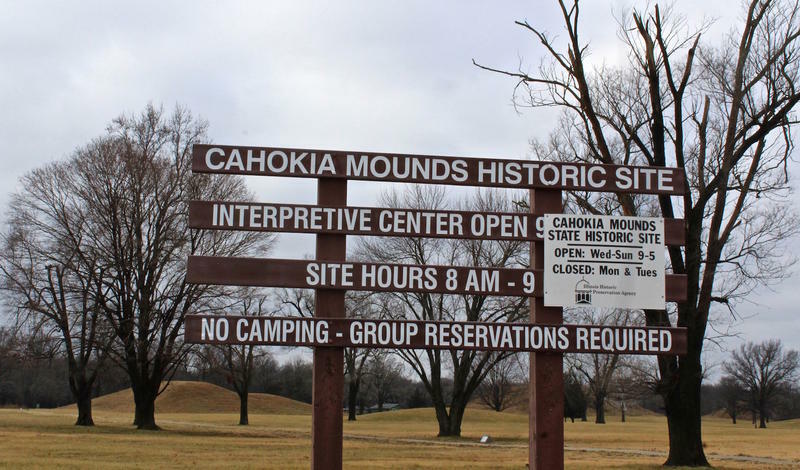 Staffers with the nonprofit HeartLands Conservancy had hoped that former President Barack Obama would declare Cahokia Mounds a national monument before leaving office on Friday, but that didn't happen. Ed Weilbacher, vice president of HeartLands, says an executive order by Obama would have fast-tracked the process, but he said the effort will continue. He noted that local congressional leaders support the possibility of legislative action to bring the site into the national park system. 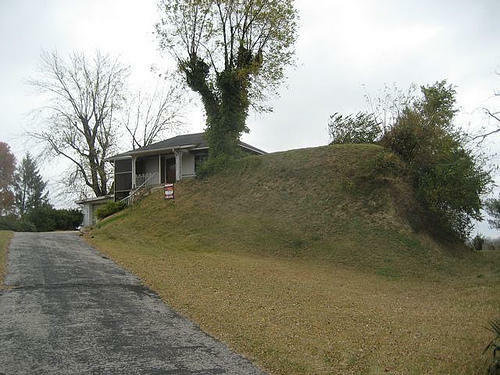 Kyle Reynolds drives by St. Louis’ last surviving mound, Sugar Loaf Mound, located at 4420 Ohio in south St. Louis, all the time yet he didn’t know about its existence until he read about it online. Still baffled by its significance, he turneed to St.